MEGAPOWER 2 is a new generation of thermoset polyurethane timing belts. Its unique new molding process, combined with a high performance compound, ensures superior dynamic performance, more transmittable power and excellent dimensional stability. This translates into an extra 30% of MEGAPOWER 2 performance compared to first generation Megapower. 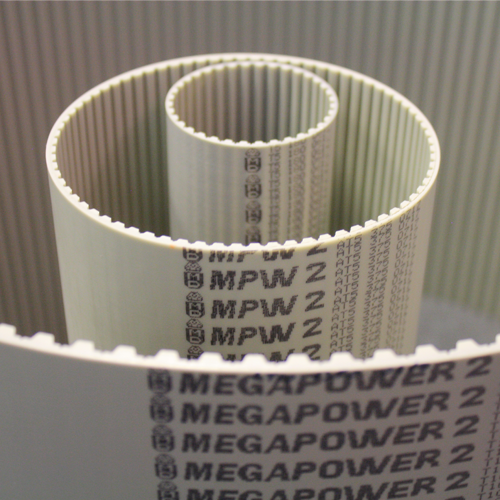 Megapower 2 belts are engineered for use in both power transmission and precise motion control and positioning applications. Megapower 2, constructed with 88A urethane and steel cord reinforcement offers high strength, excellent wear and chemical resistance and precise length molding tolerances. The combination of using the best materials along with our advanced manufacturing processes insure a high performance power transmission and motion control belt in the most demanding applicaitons. The body of the belts are grey/green thermoset polyurethane 88 ShA. 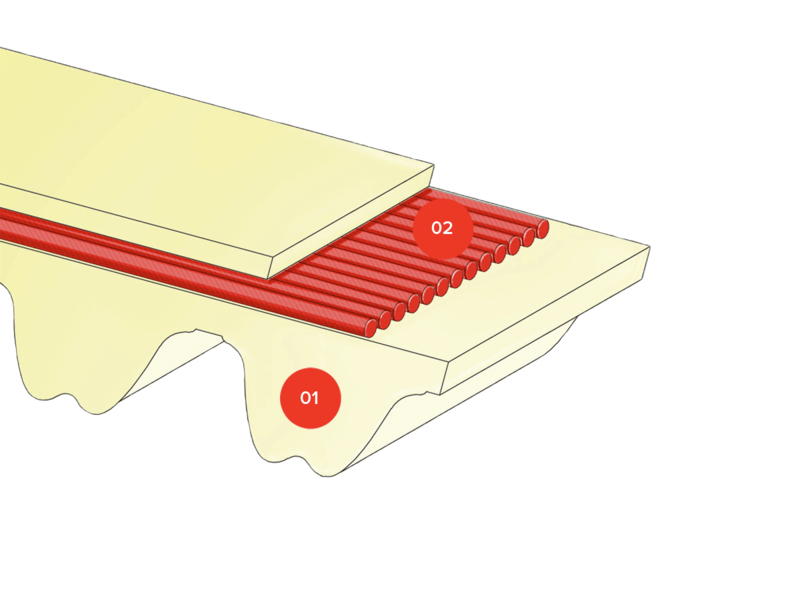 The thermoset polyurethane is obtained by mixing a prepolymer with a curative compound and heating profile. Optional cords available include Kevlar, Fiberglass, Stainless steel, HP, HF, HPF cord. Are you interested in MEGAPOWER2?